To provide you with greater access of information, the Site also contains links to other sites. While we hope these organizations join us in respecting your privacy, Kinze is not responsible for the content or privacy practices of these other Web sites. Information that you give us: It is our policy to not collect personally identifiable information about individuals except when such individuals specifically provide such information on a voluntary basis. For example, such personally identifiable information may be gathered from the registration process to request the receipt of news letters or news releases, or from postings on discussion lists and/or bulletin boards. Server Log Information: When you visit any Web site certain information is automatically provided to the webserver, this information includes your web-browser type (e.g. Chrome, Safari, Internet Explorer or Firefox), your Internet Protocol Address (IP Address), the webpage that you are requesting, the time of the request and the date. This information is recorded in our server logs. Personally identifiable information on individual users will not be sold or otherwise transferred to unaffiliated third parties without the approval of the user at the time of collection. Our use of any personally identifiable information will be limited to our activities that are necessary for us to administer our organization and provide you with requested services. We collect IP addresses and related information for the purpose of tracking information and to compile statistics to help us improve and administer the Site so that its users will find it more helpful and informative. The information is used solely for these analytical purposes. IP address information is not distributed to third parties. Some portions of the Site provide the opportunity to share information with others. When you voluntarily disclose personally identifiable information (e.g., user name, e-mail address) on discussion lists and/or bulletin board areas of the Site, that information, along with any other information disclosed in your communication (e.g. your comment or post), can be collected and correlated and used by third parties and may result in unsolicited messages from other posters or third parties. 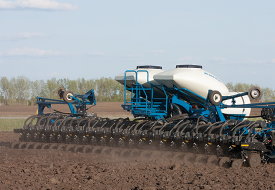 Such activities are beyond the control of Kinze. 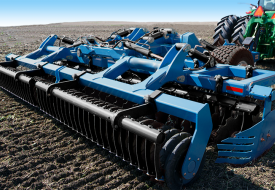 protect against harm to the rights, property or safety of Kinze, our users or the public as required or permitted by law. We may share aggregated, non-personally identifiable information publicly and with our partners (like publishers or connected sites). For example, we may share information publicly to show trends about the general use of the Site. The foregoing policies are effective as of May 2001. 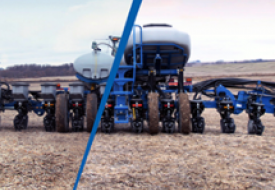 Kinze reserves the right to change this policy at any time by notifying users of the existence of a new privacy statement. This statement and the policies outlined herein are not intended to and do not create any contractual or other legal rights in or on behalf of any party. 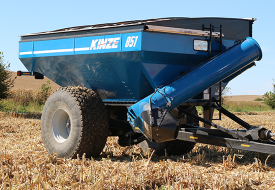 If you have any questions or comments about our Web site privacy practices, you can contact info@kinze.com.